2 Yunnan has always been a land capable of evoking suggestive visions and attracting great explorers. 2.5 WHAT DO I DO HERE? Yunnan has always been a land capable of evoking suggestive visions and attracting great explorers. 1 Yunnan has always been a land capable of evoking suggestive visions and attracting great explorers. 1.5 WHAT DO I DO HERE? During his adventurous trips to China, Marco Polo, in the wake of the Mongols, also arrived in Yunnan. He described some local religious customs, such as the medicinal remedies practiced by the shamans and the use of the shells of cowrie and salt instead of coins, all testimonies later verified by scholars. He also described a giant lizard with legs, able to eat a man. According to some, he was referring to a crocodile, according to others, to a local legend that spoke of a man-eater giant serpent. Messer Marco also described the tattoos and the golden sheaths on the teeth of the local inhabitants. Tattoos were applied using five needles joined together that etched the skin until blood came out, then rubbed the skin portion with a black substance. The Dai people of the region , still use tattoos and gold teeth like those described in Il Milione. Marco also went on with the (and the Dulong People) eating habits of the ethnic groups in the area: people ate raw meat from hens, sheep, and buffaloes … The poorest dipped their dishes in a sauce made from spices and garlic. Marco Polo was able to describe Kunming as a living and cosmopolitan city buzzing with merchants and craftsmen of different religions: idolaters, Nestorian Christians, Saracens or Mohammedians. He described the abundance of rice and wheat and also a local liqueur. He also presented to his readers a custom that can be referred to the Mosuo people, or that of the alleged libertinage of women, a prejudice that still exist, that were off to travelers. Between 1933 and 1952, the friars of the Great St. Bernard, the famous monastery on Mont Joux, the oldest pass in the Alps, sent four missions to the province of Yunnan. Their area of ​​action extended from north to south, the borders were bordered by the natural barriers of the Yangzi River, the Salween River, the Mekong River and Yanjing (in Tibetan Yerkalo) in Weixi. They built a shelter, began the construction of a monastery on the peak of Latsa and opened some schools, including that of Hualuoba. The Friars were able to penetrate a universe of different ethnicities, religions, customs, and traditions. An exhibition dedicated to this group of friars, promoted by the Italian Institute of Culture in Beijing, was presented in Beijing, Tianjin, Canton, and Kunming. HUALUOBA. 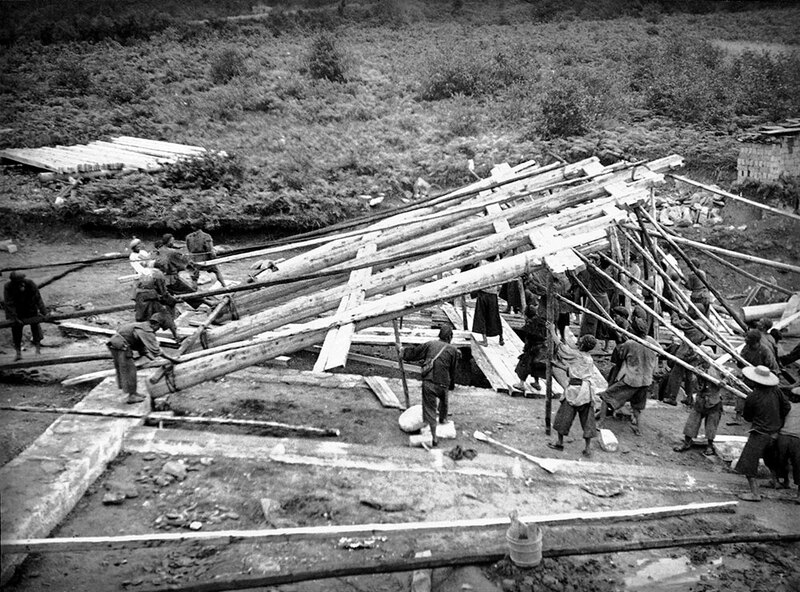 Construction of the Hualuoba School. The Viennese Joseph F. Rock made of Lijiang, once only a remote village, its base for 27 years, between the ’20s and’ 40s. An explorer and an academic, he soon became an authority in botany and in the cultures of Chinese ethnic minorities. He worked with National Geographic and in 1947 he published the first essay on the Naxi people for the University of Harvard. He also wrote the first English – Naxi dictionary, which consisted of over a thousand pages. He arrived in Asia chasing the Chaulmoogra tree in Burma, Thailand, and Assam. In 1922 his travels took him to Yunnan where he spent the next three decades. 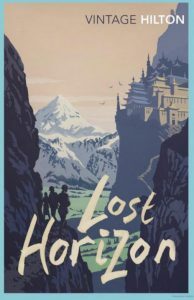 According to some, his National Geographic reports inspired James Hilton‘s novel “Lost Horizon,” which described a fictional community known as Shangri-La. Among his most striking memories, in republican times, took place many battles between the Ma Qi‘s army, a group of Chinese Muslims, against the Tibetans in Xiahe County and the Monastery of Labrang (1917-1927). The troops of the Ma left countless Tibetan skeletons throughout the area and in the monastery of Labrang, the severed heads of the unfortunates were exposed. The heads of the Tibetans, including those of children and women, were used as an ornament by Muslim soldiers. 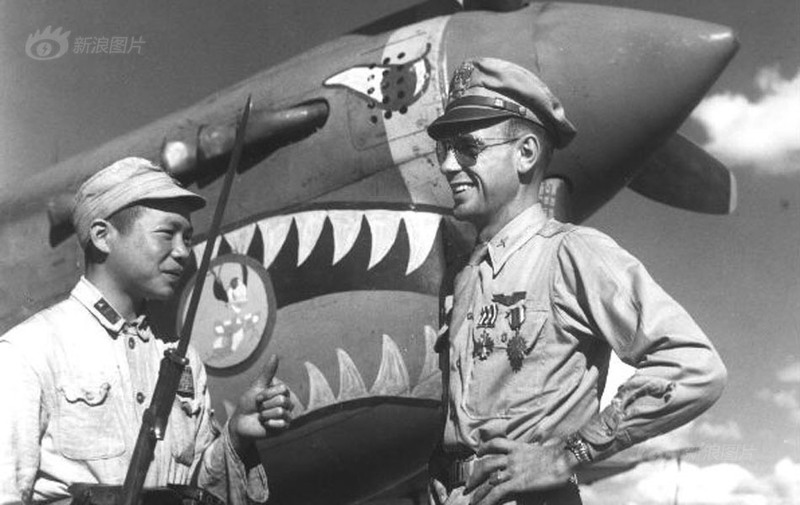 During the Second World War, Yunnan was the base for the Chinese resistance against the Japanese invasion and thanks to the support of the Flying Tigers, a body of American volunteer aviators, the combined Sino-US forces managed to inflict numerous losses to the troops of the Rising Sun. According to some detractors, the Flying Tigers were, in reality, nothing more than mercenaries in the pay of a private contractor. In any case, controversy aside, their heroic deeds are well impressed in the collective memory. Recently, in fact, the new Tengchong airport, inaugurated in 2009, was named in their honor. In the same year, the famous director John Woo announced the beginning of the production of his film, Flying Tigers Heroes. Just the exotic tales of Joseph Rock stimulated another great traveler, Bruce Chatwin, to undertake a trip to Yunnan; the recount of his exploration was published in an article in the New York Times and later republished in the “What Am I Doing here?” collection. The descriptions of Chatwin also contributed to the myth of Yunnan and attracted many travelers and explorers, among which we can not fail to mention Michael Palin, who after his career in Monty Python, has made a series of travel documentaries for the BBC.